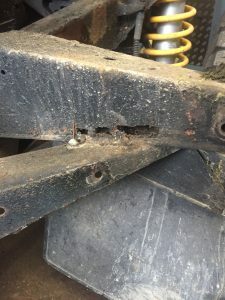 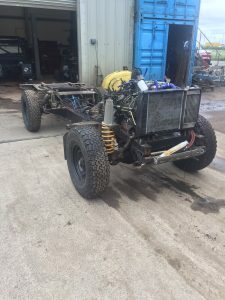 As you might imagine I was pretty upset, not only is a chassis change an unexpected and pricy job £5k or so, but it is a long job best done by people who know what they are doing with a lift and decent height working space. 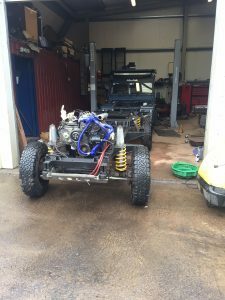 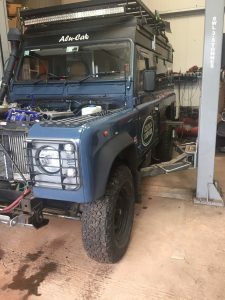 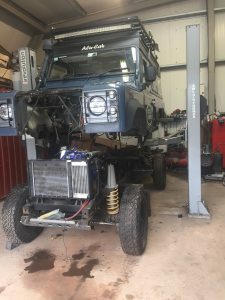 Even with experienced mechanics working to a proven system it takes a few weeks and we had to add in the complexity of all the additional systems and underbody tanks etc I had added and the weight of the roof etc. 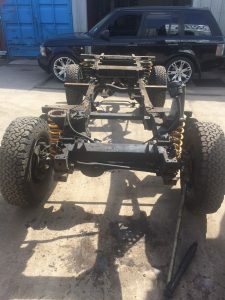 So now Nelson has a nice new shiny chassis and has been all bolted back together soundly, this work was done just two weeks before we went to Morroco and as you can see from those pages we had no trouble at all with it for the whole trip despite rocky washed out roads, sand and hard motorway driving. 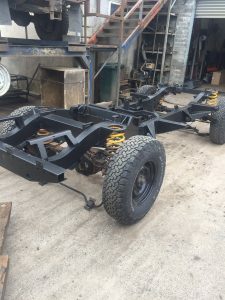 And no trouble from it in the year since so its a real credit to Richards Chassis makers and to the skills of Bobby and the team at Gemm 4*4 in Falkirk – thanks guys !